Orbital ATK's Cygnus spacecraft will get a second crack for a launch to the International Space Station after uncooperative weather cancelled yesterday's festivities. The original window pegged the spacecraft to shuttle supplies to the ISS yesterday evening, but incessant rain eventually led to the launch being aborted. As of now, the launch time is expected to kick off at 5:33 pm EST, with a 30-minute window to follow. 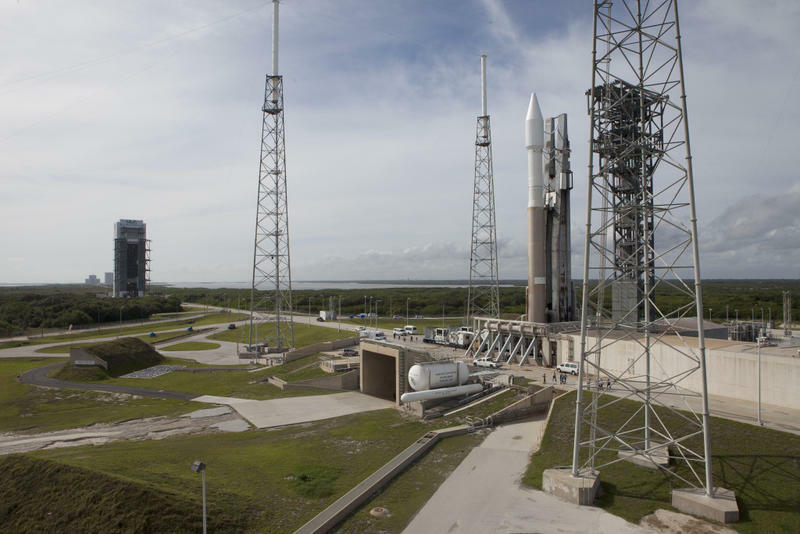 Air Force meteorologists say there's a 40 percent chance for launch, depending on how cooperative the weather is, though things could change between now and launch time; earlier today forecasters had said there was a 30 percent chance, so conditions appear to be improving. The Cygnus spacecraft will be launch atop an Alliance Atlas V rocket, and shuttle thousands of pounds of cargo to the ISS. If all goes according to plan, Cygnus should arrive to the Space Station on Dec. 7, where astronauts aboard the ISS will then use the station's Canadarm2 robotic arm to capture Cygnus, after which the cargo will then be unloaded. You'll be able to watch the events unfold live later today. Update: For the second day in a row, inclement weather forced the launch to be cancelled.